A recent Microsoft SMB study found that 78% of SMBs will be using the cloud, in some fashion, by the end of this year. It’s no surprise small and mid-market companies hesitated to adopt cloud computing; moving data, applications, and storage off-site increases a company’s risk profile. Fortunately, the benefits of the cloud far outweigh potential risks – as company after company has shown – and SMBs are ready to take the leap. Why? The cloud for SMBs offers the computational power previously reserved only for enterprise-level organizations. We’ve rounded up the top 9 advantages of the cloud for SMBs to summarize why most businesses are shifting to the cloud. 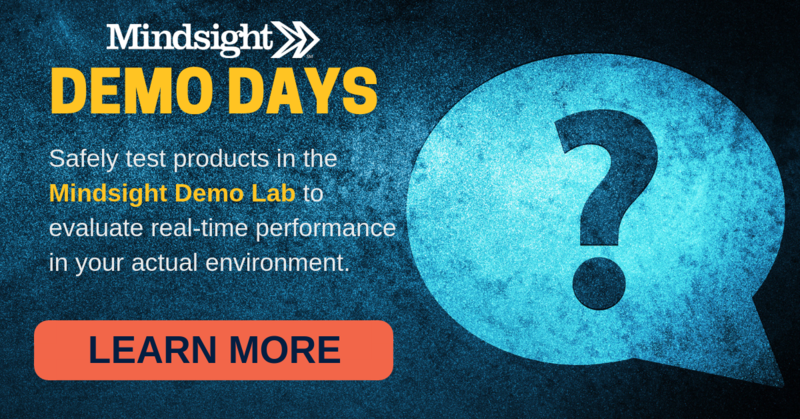 Want to know how to migrate to the cloud? 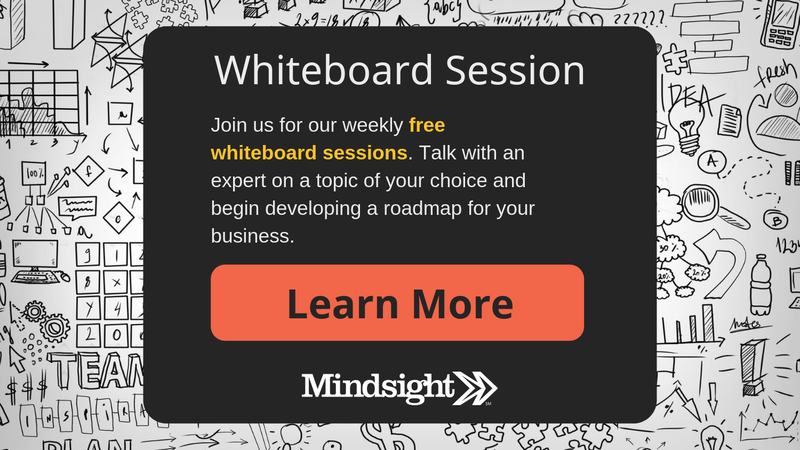 Check out our Path to the Cloud Analysis and sign up for a free whiteboard session today. Accessing the files and applications necessary to do work used to be an in-office only task. Cloud computing changed that. Now, employees can access documents, images, spreadsheets, communications – anything – from anywhere, anytime. With this technological innovation comes a change in work culture and employer (and employee) expectations. The cloud is key to remote work, productive business travel, and timely task completion. For SMBs, the cloud delivers increased accessibility to the data that empowers today’s workforce. The cloud is vital for businesses growing quickly. Whether its scaling headcount, production, customers, or services, the cloud can satisfy business requirements – in all directions – easily. In essence, the business can handle growing or dwindling resources. Planning for the myriad of changes that can affect your business, from market fluctuations to internal shifts, is difficult, and leadership will never get it completely right. The cloud for SMBs is especially important, since smaller organizations tend to have more dramatic fluctuations with higher risk more often. The cloud bypasses this obstacle by enabling SMBs to have more or less capacity based on their current and potential needs without having to predict the future outright. For too long, the role of IT was seen as a “cost center”, as new servers, routers, data centers, switches, and other CapEx expenditures took big bites from budgets. The cloud for SMBs enables them to offload this enormous up-front cost to better meet the current and growing needs of the business. These costs are transferred to an OpEx model, which better suits the stricter cash-flow of the SMB. Every business, from the SMB to the enterprise, needs to prepare for disaster. A solid disaster recovery strategy is essential in the digital age. The cloud provides a seamless off-site backup solution accessible to businesses of every size. Using a cloud data center in a colocation as the target site for your data backups gives you the infinite infrastructure. It’s the perfect place to protect your data in a private or hybrid cloud deployment. Since most cloud providers work on a subscription OpEx expenditure model, SMBs do not need to plan years’ worth of infrastructure investment with little or no data. If business is up, the cloud has room for that growth. If business is down, costs will decrease to match your needs. This agility gives the business a competitive edge. SMBs in particular rely on this advantage. As changes in the industry occur, SMBs rely on their ability to adapt and meet the needs of their clients immediately. This sets cloud-based SMBs apart from their competitors. Maintaining servers takes a lot of work. With the infrastructure off-site, the cloud for SMBs offers no-hassle management of the technology powering your business. Cloud providers roll-out regular software and security updates, leaving the IT leadership in the SMB to focus on strategic initiatives to grow the business. Teamwork is the heart of a productive and successful business, which is why the cloud is so important for the SMB. SaaS solutions, like Microsoft Office 365, enable easy real-time collaboration on data and analytics. Cloud tools also propel web-based collaboration technologies, like Cisco WebEx Teams, which provides an all-in-one business collaboration and communication platform. 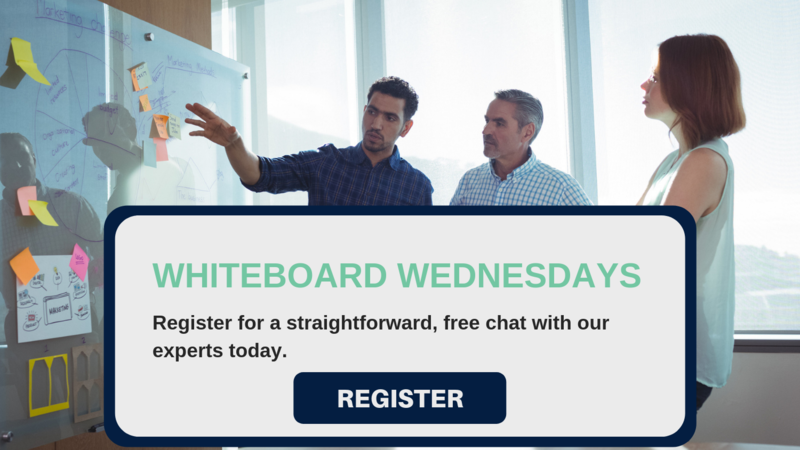 See how these tools can work in your environment by joining us for our weekly whiteboard sessions, free one-on-one chats that center on your business’ concerns and the potential ways to solve them. The efficiencies created by the cloud for SMBs are never-ending. From work and process optimization to IT maintenance and monitoring, the cloud removes these monotonous and time-consuming tasks from the business. Instead of shuffling around spreadsheets and waiting for the next in-person team meeting, teams can share and update documents concurrently. Instead of patching servers in endless cycles, IT teams can focus on improving technology investment and deployment throughout the organization. Plus, there’s the carbon efficiency to consider. Businesses that switch to cloud computing can cut their energy consumption by up to 70%! Security remains a top concern for SMBs considering cloud migrations. Approximately 50% of SMBs delayed cloud migrations due to a lack of cybersecurity skills, according to a 2017 Intel Security study. And while security in the cloud remains a top concern, the data simply says different. “Most cloud providers probably have better security controls than most companies,” says Zeus Kerravala, founder of ZK Research. public cloud providers offer cloud services to all sorts of organizations, including those that likely have incredibly high security requirements – like the Department of Defense (DoD), Boeing, and the National Oceanic and Atmospheric Administration (NOAA). They all use the cloud in one way or another for functional operability. The cloud for SMBs lets you enjoy the secure cloud infrastructure required by these larger institutions without having to invest in that infrastructure yourself. That’s a win-win for security in the cloud and annual budgets. With a combined 50 years of experience, our experts know the cloud. No matter where you are on your cloud journey, our dedicated cloud experts will help you assess business goals, develop a plan with the right solutions and providers, and design and implement an optimized solution. Our AWS and Azure certified engineers are ready to help and test a solution in your environment today. Contact us today to discuss cloud for SMBs: roadmaps, assessments, and business goals.